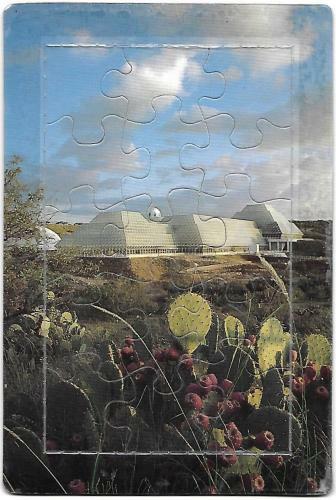 And from US-5888404, a puzzle postcard of Biosphere 2! This entry was originally posted at https://laridian.dreamwidth.org/2978137.html. Please comment there using OpenID. The feels continue: Part Two, Chapter 19: You Always Hurt the One You Love is now posted to AO3. You shouldn't get close to me. It's not over yet. Evil came in threes, everyone knew that. Boone had lost Carla and Manny. Gunnar was the last one. Stars in his eyes and full of hope and wanting to help everyone. After Gunnar there wouldn't be anyone left for Boone to lose. Nothing and no one. He'd already made the decision to stay with Gunnar, because he had nothing and nowhere else. But if Gunnar died, or gave out, that was as bad as leaving. This entry was originally posted at https://laridian.dreamwidth.org/2978372.html. Please comment there using OpenID.